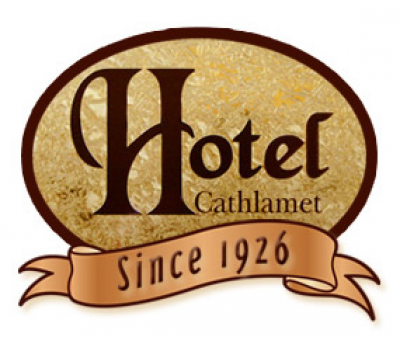 Hotel Cathlamet was originally built in 1926. 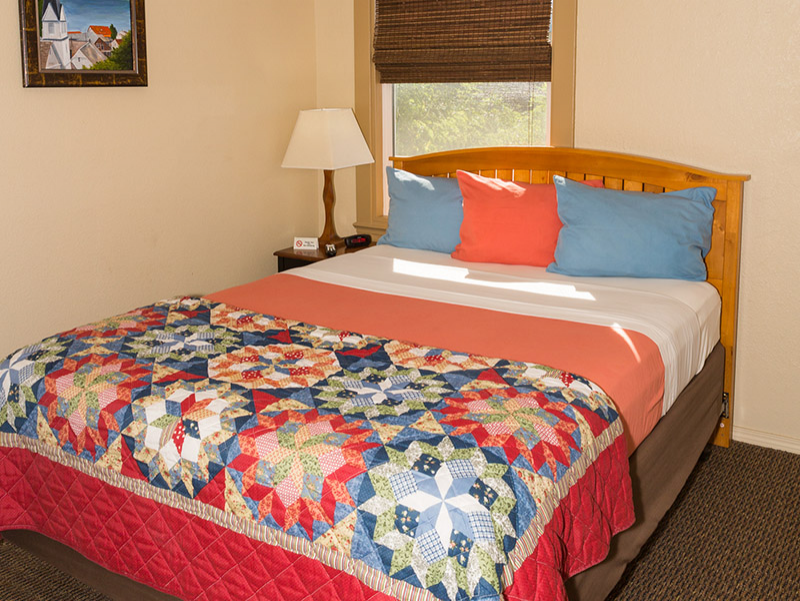 After major renovations, the hotel is now handicap accessible with a private bath in each room. Still, many of its original features and historic charm remain! 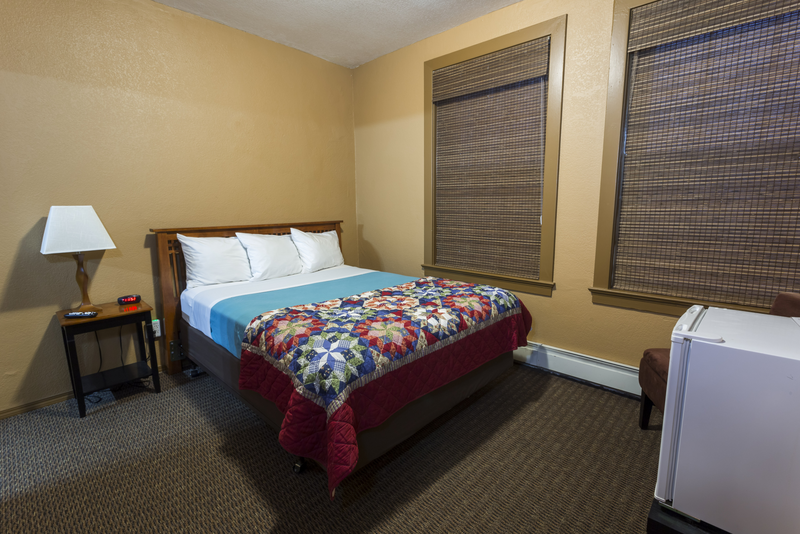 Centrally located on Main Street in Cathlamet, WA, the hotel allows easy access to everything Wahkiakum County has to offer. Enter your specifics - dates/nights/guests- BELOW (above the room list) to pass the information to the reservation system. If a room is unavailable on the dates you pick it will move toward the bottom of the list and the BOOK button will be replaced with a message of unavailability. 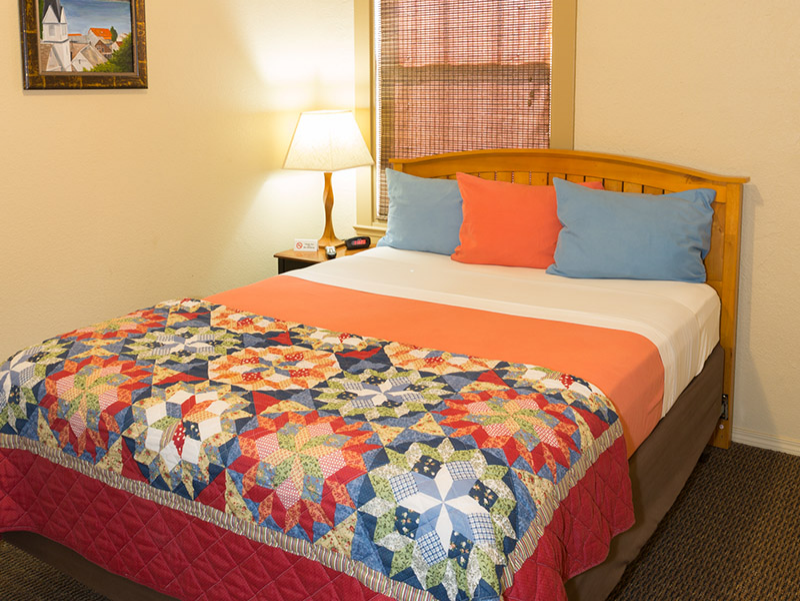 *Rates are per room, however, there are maximum occupancy limits per room. *Room reservations require credit card guarantee for booking. All major credit cards are accepted. *Your credit card will be charged for the full amount within 24 hours of your arrival. *City, State and County lodging taxes apply (9.6%). *Check-in time is 3:00 p.m. Early check-in is NOT guaranteed. Prearrangement with hotel is required. *Check-out time is 11:00 a.m. Late check-out is NOT guaranteed. Prearrangement required. Fees may apply. *The hotel is a non-smoking facility. Fine = $250 plus cleaning costs. *Cancellations must be made 24 hours before arrival to avoid cancellation fee. *One night room + tax penalty will be applied to your credit card if reservation is cancelled within 24 hours of arrival date. 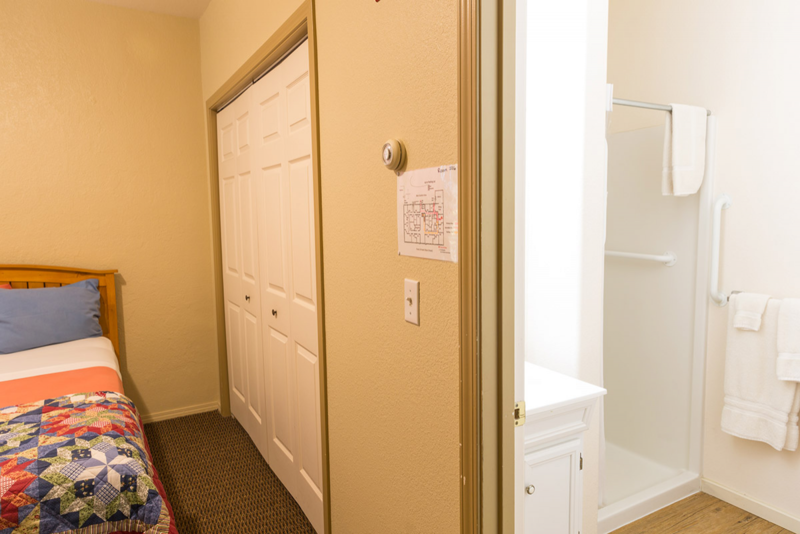 This smaller room has a full-size bed and a large bathroom with shower. It is an interior room and looks out onto an indoor sunroom. 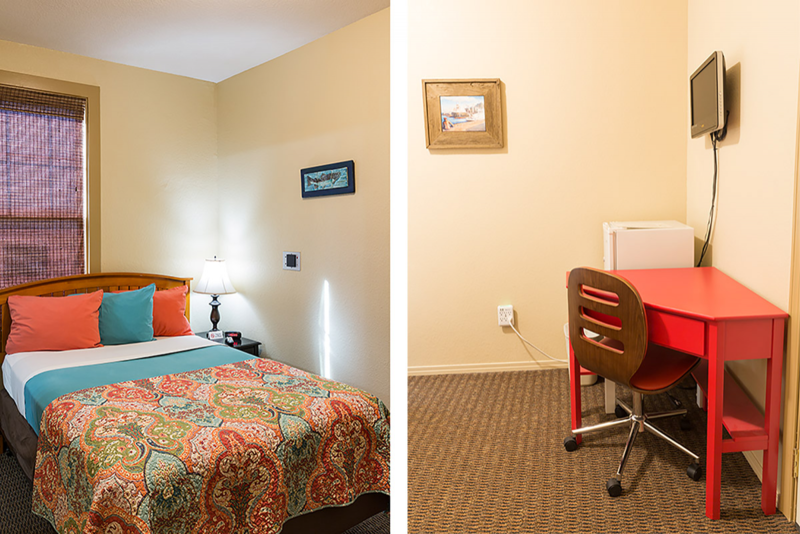 This is a large room with two beds, one queen-size and the other full-size. There a small refridgerator and bathroom with shower. The room looks out onto the back garden area. 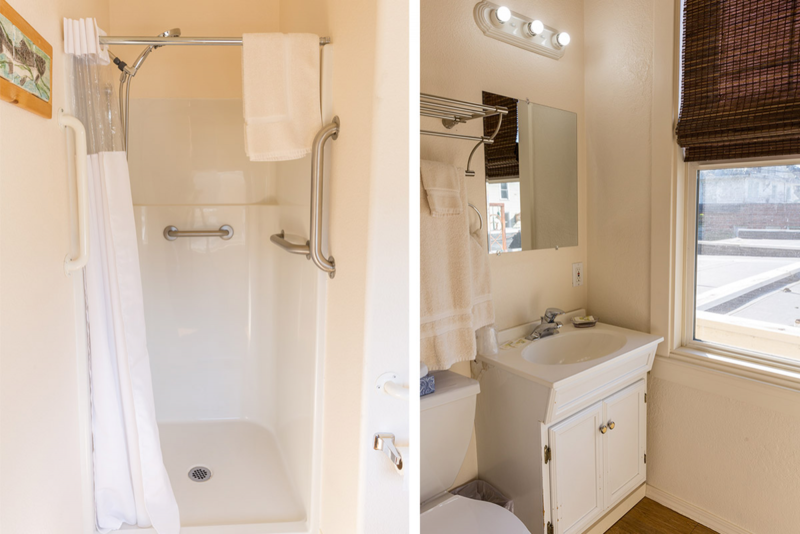 This smaller room has a full-size bed and a bathroom with tub/shower combo. It is an interior room and looks out onto an indoor sunroom. This room has a queen-size bed and bathroom with a large shower. It looks out onto the back garden area. 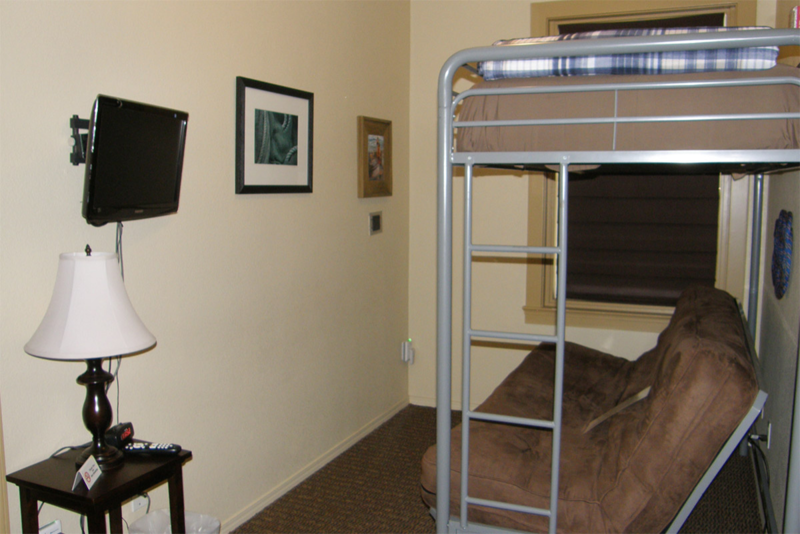 This is a large room with a king-size bed, a small refridgerator and a bathroom with large shower. It looks out on the back garden area. 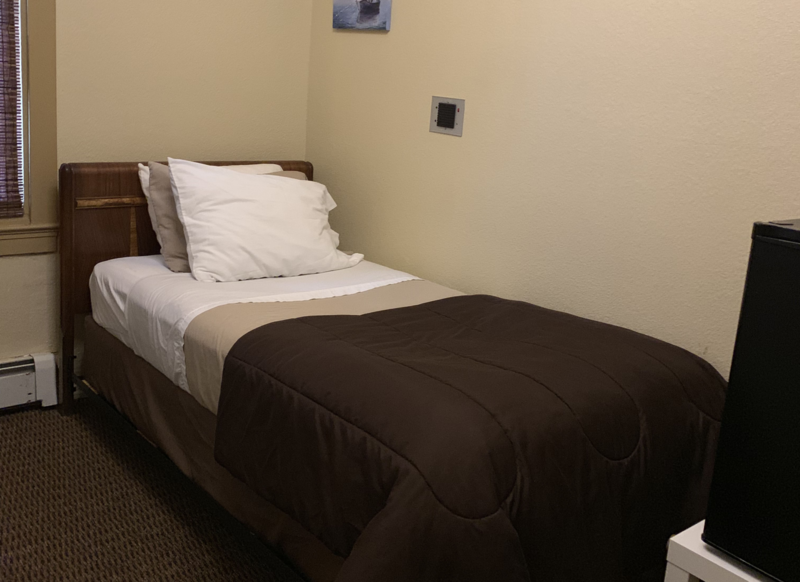 This room has a single-size (twin) bed and a large bathroom wth shower. Perfect for the single traveler! 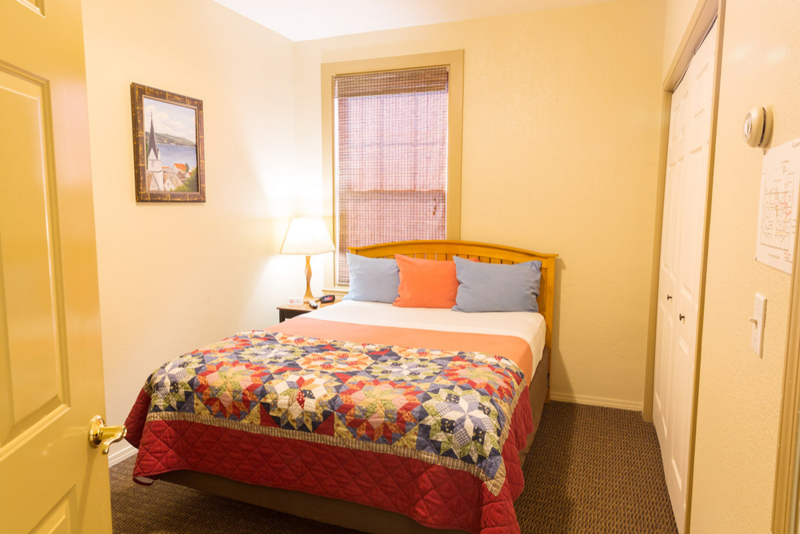 This is a small room with a twin bed and private bathroom wth shower. This is a two-room suite. The living area has a full-size hide-a-bed, a small refrigerator and desk area. The seperate bedroom contains a queen-size bed and bathroom with shower. The room overlooks downtown Cathlamet and out to the Columbia River. This room can accommodate a rollaway and hold a maximum of 5 guests. This room has a king-sized bed and bathroom with shower. It is an interior room and looks out onto an indoor sunroom. This room has a queen-size bed and a bathroom with large shower. It overlooks downtown Cathlamet and out to the Columbia River. This room has a queen-size bed and bathroom with large shower. It overlooks downtown Cathlamet and out to the Columbia River. This is a two-room suite. The living area has a fold-down futon, a refrigerator and desk area. The seperate bedroom has a queen-size bed and bathroom with large shower. This room overlooks downtown Cathlamet and out to the Columbia River. This smaller room has a full-size bed and bathroom with shower. It is an interior room and looks out onto an indoor sunroom. 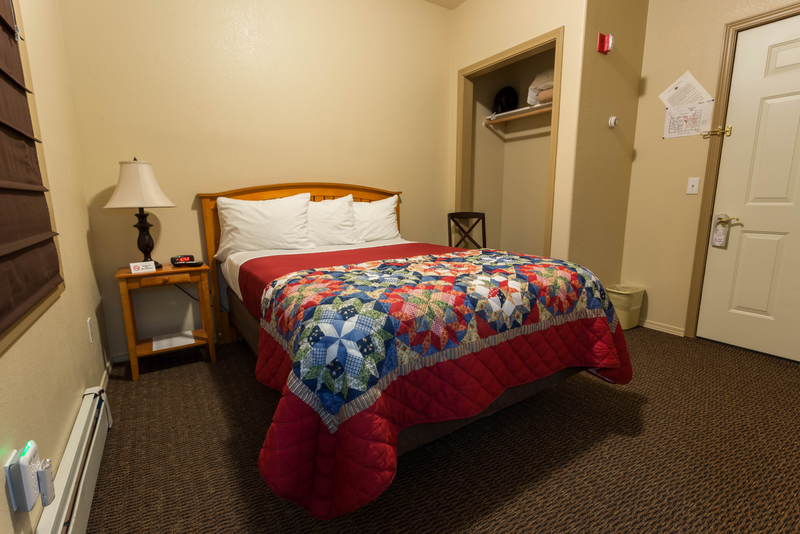 This room has a queen-size bed, a small refridgerator and bathroom with a large shower. It overlooks downtown Cathlamet and out to the Columbia River. This larger room has a queen-size bed and bathroom with shower. It overlooks downtown Cathlamet and out to the Columbia River. 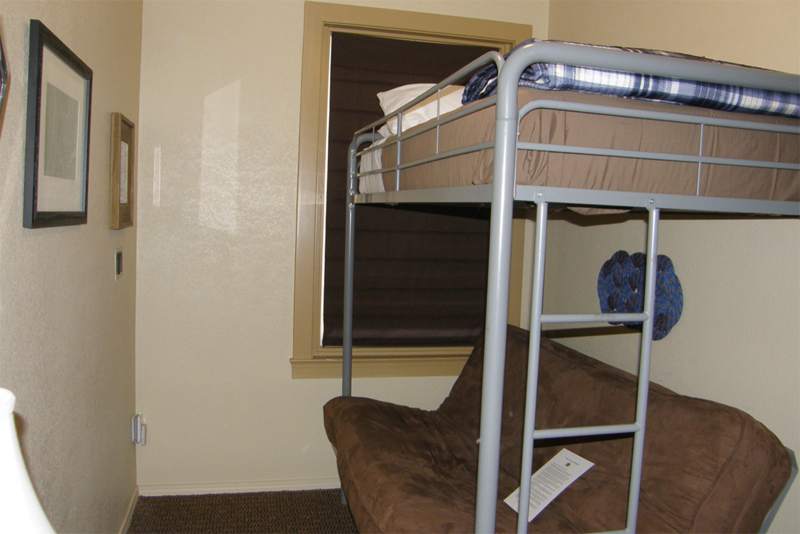 This is a small room with a full bottom futon/twin top bunk bed and private bathroom wth shower. Top bunk supports 200 pounds MAXIMUM. Room looks onto roofs and buildings of commercial downtown Cathlamet. 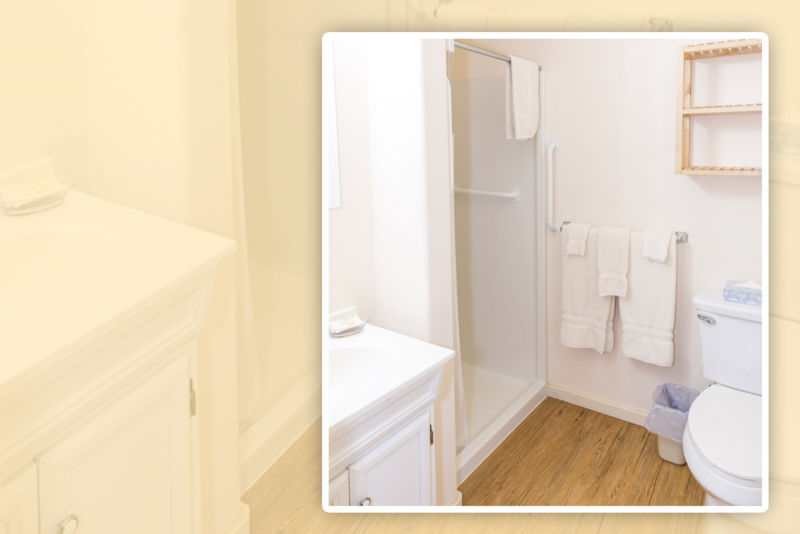 This smaller room has a full-size bed and large bathroom with large shower. It is an interior room and looks out onto an indoor sunroom. This room has a queen-size bed and bathroom with shower. It looks out onto roofs and buildings of commercial downtown Cathlamet. This smaller room has a full-size bed and bathroom with shower. It looks out onto the back patio and garden area. There are no rooms available for the requested time interval.